After 72 years of marriage they had only an hour's separation between them in their passing, yet their locked hands never let go. The family of the Iowa couple say their life together was a real-life love story, never separated, even after their tragic car accident which sent them both to the hospital. 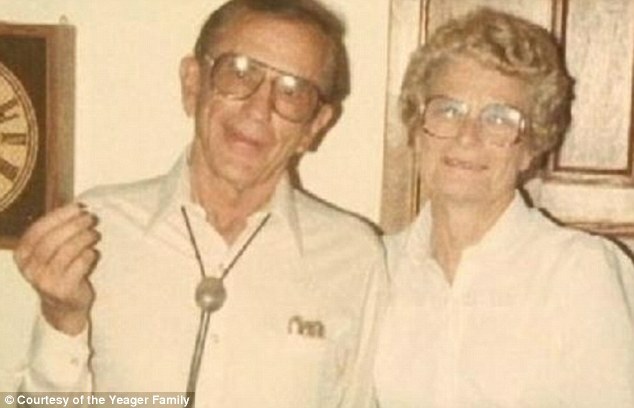 The couple were both born in Iowa before Gordon Yeager moved to a farm a Minnesota with his family. After it was badly hit by the Depression, 16-year-old Gordon returned to work at the Chevrolet Garage in State Center, Iowa - a business which he would eventually go on to own. 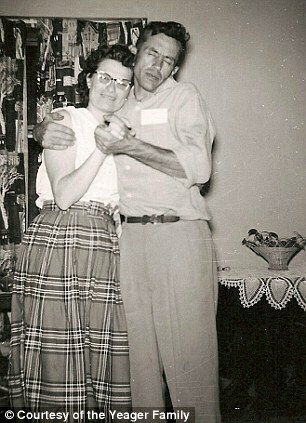 It was once back in the town, he fell in love with Norma who was still studying at high school. 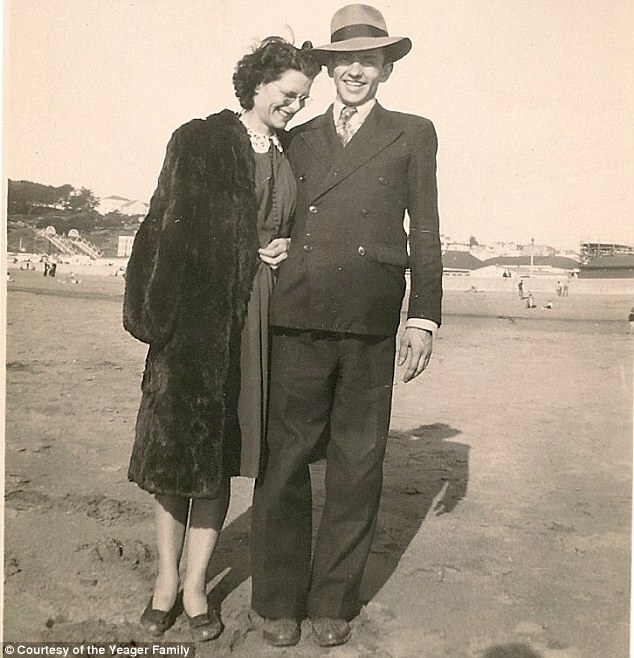 After his proposal, Gordon and Norma were married on the very day that she graduated, May 26, 1939. It was a small wedding held at 8pm that evening in the home of Gordon's sister, the expense of which was covered by the young man's first pay cheque. 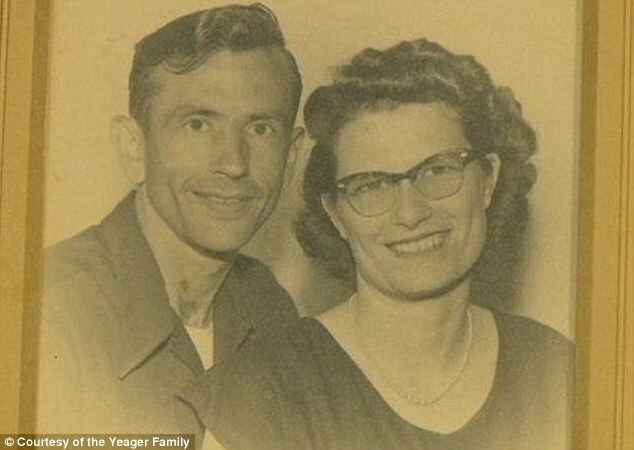 The newlyweds spent the first few years of marriage in California where Gordon worked as a welder in the shipyards during the Second World War while volunteering at night for the war effort. They later returned to the town of State Center and had four children - Donna who was born in 1940, Roger in 1943, Gordon in 1946 and the youngest Dennis in 1949. Tragically both middle sons Roger and Gordon later died in car crashes. While bringing up their young children, the Yeagers first ran a hardware store before taking over the Chevrolet Garage with Gordon's brother Roger until both men retired at 65. 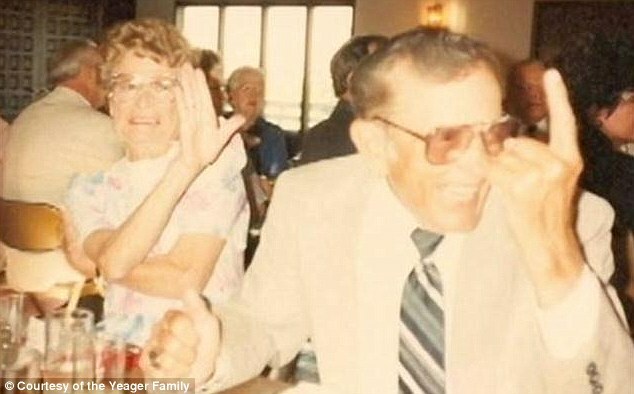 The couple's youngest son Dennis, 62, described his parents as incredibly active individuals. 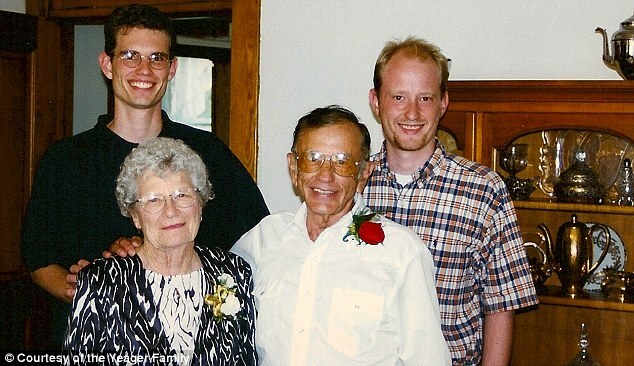 He said: 'We took family camping trips in Iowa and Canada but spent most of the time at Clear Lake, Minnesota. We rented a cabin and went boating. 'I remember my Dad, even at almost 60 years old, water-skiing at Clear Lake. One time, when I was driving the boat he disappeared under for such a long time, that my Mom was worried sick. When they retired, the Yeagers would spend half the year in Tucson, Arizona, enjoying the outdoors and fishing in the Hoover Dam. Despite their closeness, Dennis admits at times his parents were 'total opposites'. He said: 'They just loved being together but of course they would get mad at each other. 'My Dad was very sociable, he loved doing anything that involved being with people. My Mom was quieter but she would support my Dad in whatever he was doing. She would be there making sure everyone had something to eat, had a drink in their hand. After celebrating the rare achievement of a 70th wedding anniversary, surrounded by family, Dennis said his parents loved to spend time watching sports, socialising and walking their little Yorkie dog Radar. 'They were not your typical 90-year-olds,' he added. Last Wednesday while making a trip into town, the car Gordon Yeager was driving mistakenly pulled out in front of another. A police report said the oncoming driver tried to avoid the collision, but it wasn't able to stop in time. Rushing to the hospital, Dennis said he found his parents sharing a unit in the intensive care unit. Never separated and holding hands they lay, though 'not really responsive,' he said. 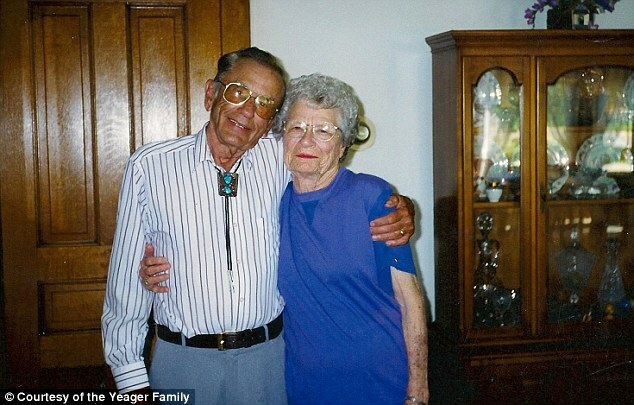 That afternoon at 3:38pm, Gordon passed away, with his wife and family beside him. The anomaly began though for the family, when Gordon's heart monitor kept beeping. 'It was really strange. They were holding hands, and dad stopped breathing but I couldn't figure out what was going on because the heart monitor was still going,' Dennis recalled. Dennis asked a nurse who checked, pointing out the couple's hands which were still locked together. 'Her heart was beating through him and picking it up,' Dennis said the nurse explained. Exactly one hour later though, at 4:48pm, Norma died too. 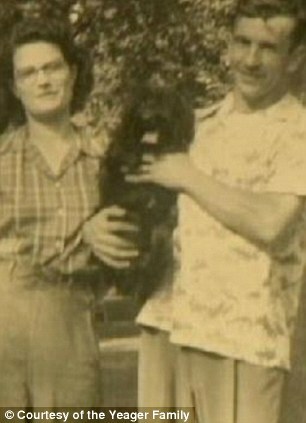 Dennis said: 'I don't believe there was a big secret to their marriage. Sometimes one or the other would get mad but they worked everything out. 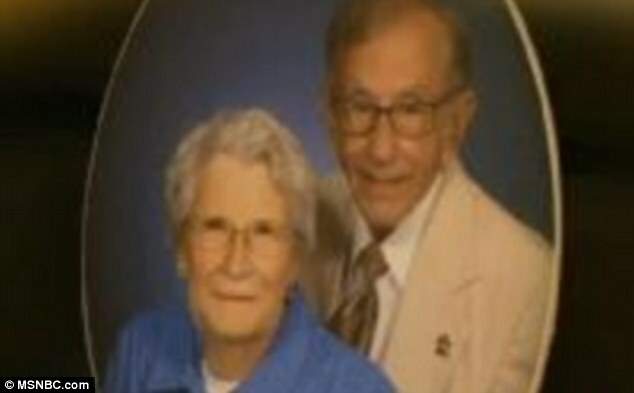 The couple held hands at their funeral Tuesday, sharing the same casket. Their family says after they are cremated, their ashes will be mixed together. 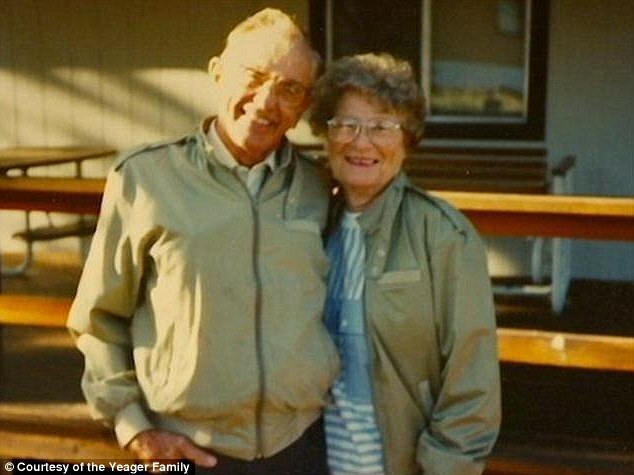 The Yeagers are survived by Norma's sister, Virginia Kell, and Gordon's brother, Roger, along with their children Donna and Dennis as well as 14 grandchildren, 29 great-grandchildren and one great-great grandchild.